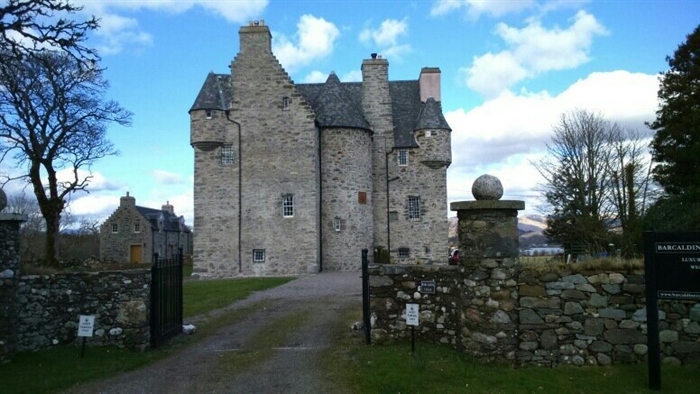 Argyll's only ancient castle offering bed and breakfast accommodation. Built in 1609 and restored 1897. Stunning location on south shore of Loch Creran 9 miles north of Oban. Licenced for small intimate weddings. 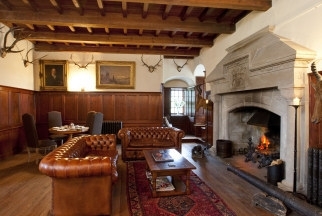 Barcaldine castle provides luxury bed and breakfast accommodation. Our rooms are elegant and romantic, each with rich luxurious fabrics and antique furnishings to create a traditional look . King size beds, flat screen HDTV with Blu-ray/DVD player, generous hospitality tray, slippers, bathrobes, large fluffy towels and Arran Aromatics toiletries. The Barcaldine bedroom offers views of open countryside and the freshwater Lochan dubh (the black loch). Newly fitted en-suite bathroom with freestanding roll-top bath. 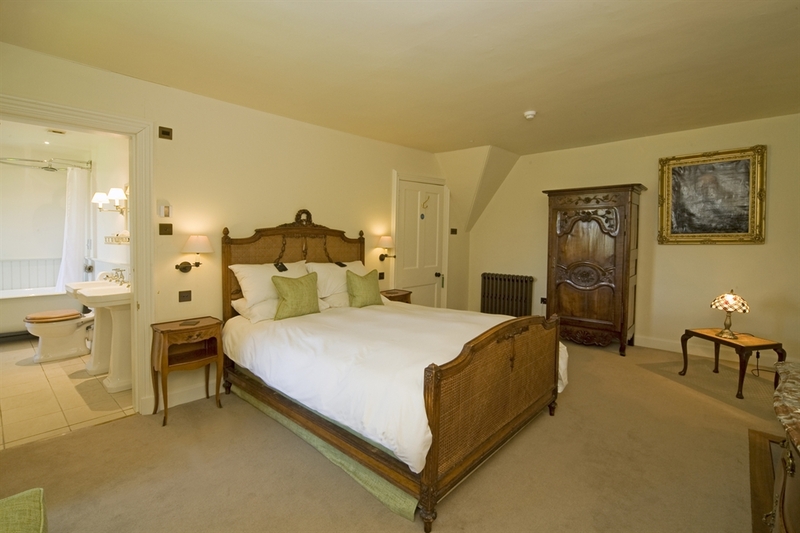 The Breadalbane bedroom is a very spacious bedroom with a stunning 4 poster super king size bed that formerly belonged to Andrew Carnegie, a famous Victorian industrialist. It has an en-suite bathroom with a seperate shower. Stunning views across Loch Creran to the mountains of Glencoe and occasionally deer grazing in the front fields. 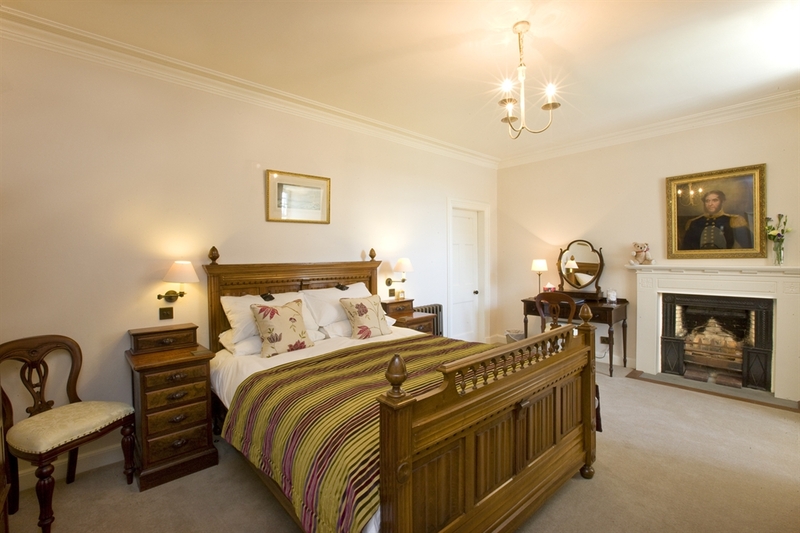 The Argyll bedroom is a double bedroom with an en-suite shower facility. Caithness has stunning views of Loch Creran and the Glencoe mountains in the distance. 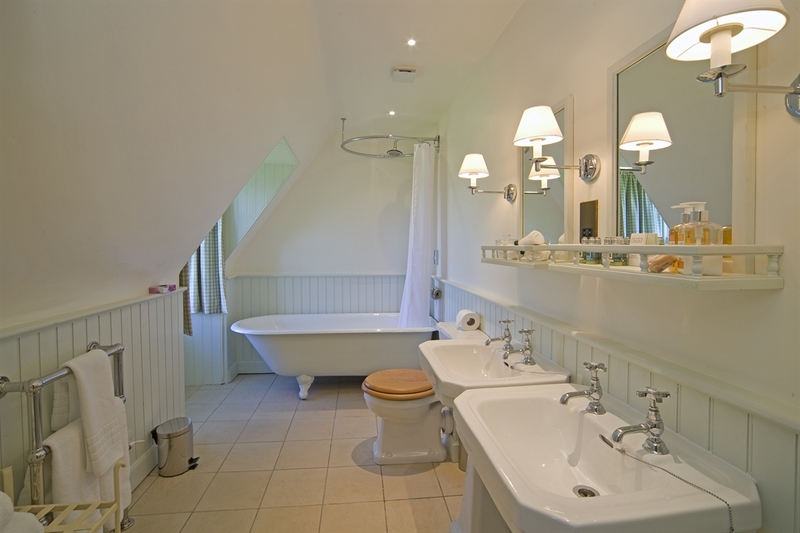 It is a spacious bedroom with a turret room adjoining and an en-suite bathroom with twin sinks. Airds is a twin bedroom with a turret and an en-suite shower facility. The Lochnell bedroom is turreted and has stunning views of Loch Creran and the Glencoe mountains in the distance. It features furniture from the 17th and 18th centuries, including a 350 year old four poster bed, unfortunately this is not suitable for guests over 6 feet tall. It has an en-suite bathroom with twin sinks and a roll top bath. 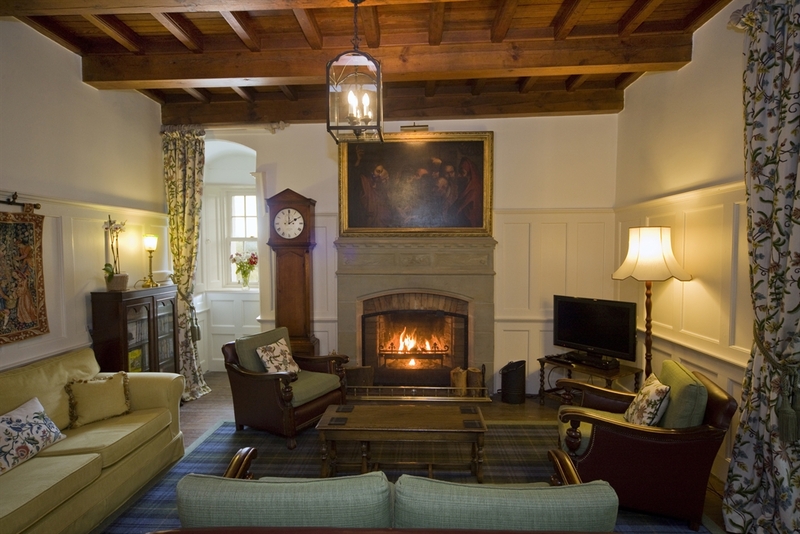 Guests have use of the cosy Laird's Parlour and the magnificent Great Hall with open fires in winter. Complimentary drinks on arrival and a short tour of the castle. We are in a quiet location 20 minutes from Oban, just off the main Oban to Fort William road, offering a perfect base for walking, day trips to the islands (Iona, Staffa, Mull), Glencoe, Inverawe Smokery, Cruachan Hydro Power Station and a day drive to the Isle of Skye. 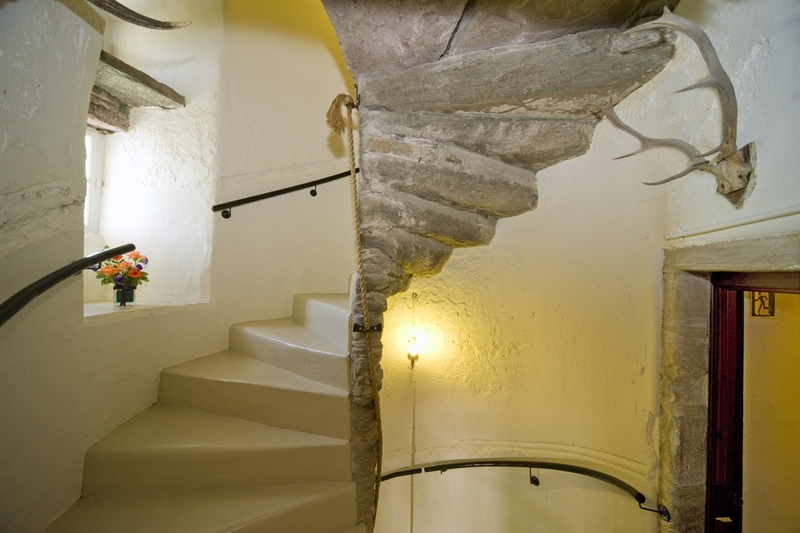 Breakfast is served in the 400 year old vaulted dining room with a delicious choice of local quality produce. Our menu varies and can be seen on our web site. Barcaldine Castle is also licenced for civil weddings and offers a truly beautiful wedding venue for weddings from 2-40 guests. Large private, walled garden with stunning views to the mountains of Glencoe. Fabulous Autumn colours, snow capped mountains in winter and an unrivalled clarity of light in summer. Our knowledgable and professional resident managers are on hand to ensure that your stay is as memorable and relaxing as possible.